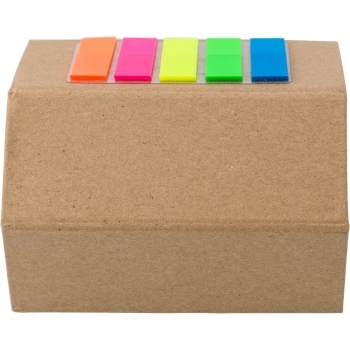 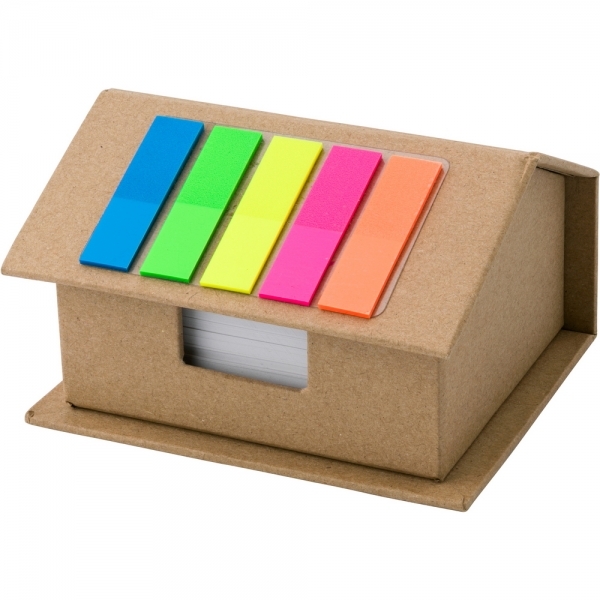 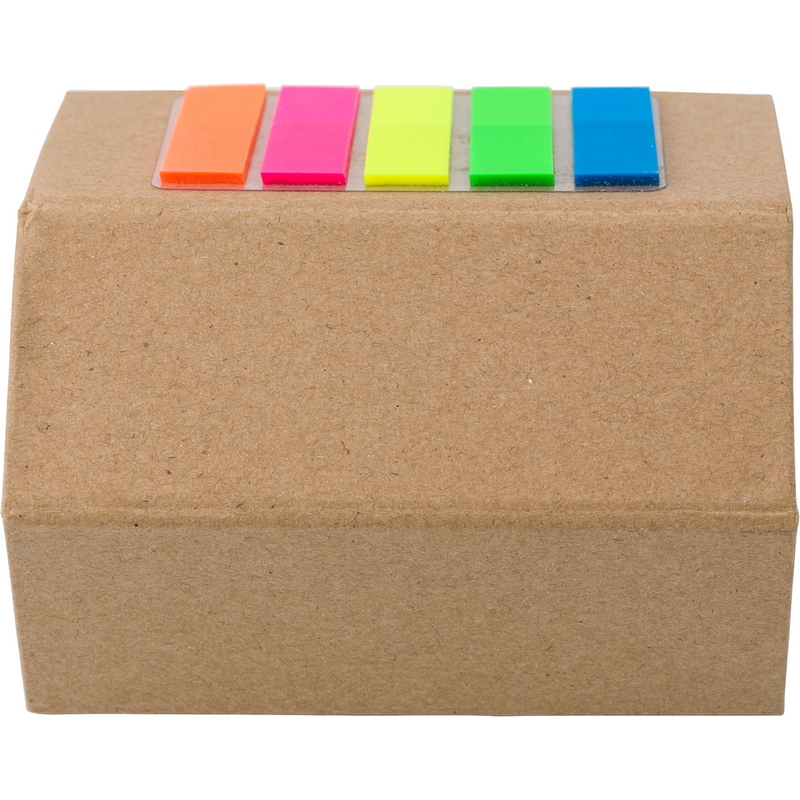 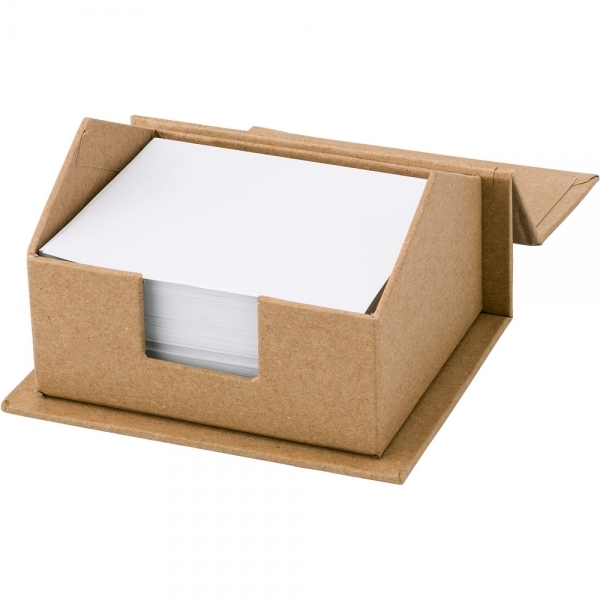 House-shaped memo holder with125 sticky notes and 400 white page. Prices incl. one colour printing on the roof of the house. additional colour each item 0,46 € + 30,-€ Set up cost each colour.